BUY NOW AND DON'T PAY FOR 60 DAYS WITH OUR LOW RATE FINANCE!! 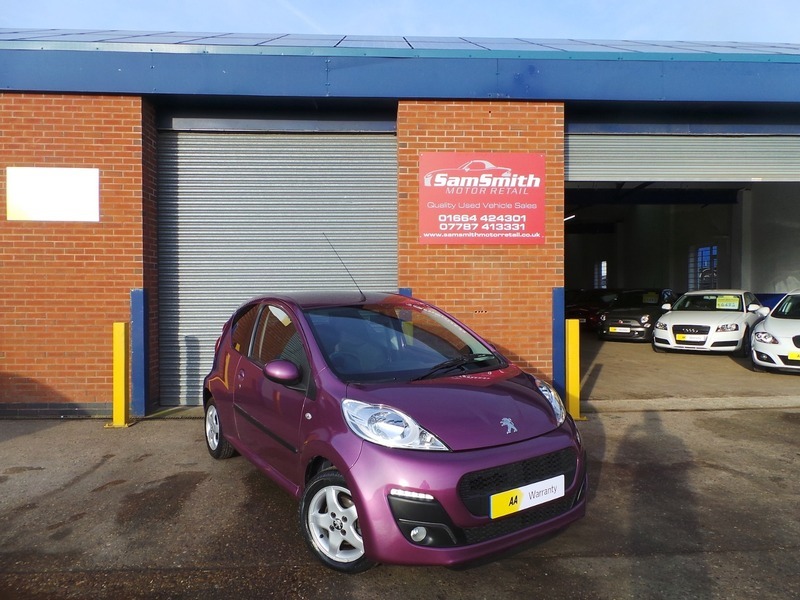 *£0 ROAD TAX* We are pleased to offer this immaculate Peugeot 107. Very sought after Allure model in one of the nicest colours we have seen. Only 19,000 miles from new this will make someone a fantastic car! All of our cars go through a very thorough workshop inspection, get freshly serviced and come with a 3 month fully comprehensive (parts and labour) warranty and AA cover. Every car we sell is HPI clear with certificates to prove. LOW RATE FINANCE DEALS AVAILABLE. Open 5 days a week and weekends by appointment. Please call for availability & viewings.